Meet Benjamin. He is very poorly with metabolic bone disease. Benjamin was admitted to my rescue at only 330g. He has been surviving by eating bird seed over the Winter. Benjamin has metabolic bone disease. Basically, his bones are very thin due to calcium deficiency. This is why he has problems walking. He will be in a lot of pain – it is like a human who has rickets or osteoporosis. He was fed on a mix of sunflower hearts, mealworms and hedgehog biscuits but he has been seen picking out his favourite bits and leaving the hedgehog biscuits. This means that he will not have got enough calcium in his diet. Mealworms actively strip bones of calcium and sunflower hearts also have a calcium/phosphorus ratio that is too high. There is a brilliant article here that tells you more about the calcium/phosphorus ratio and busts some of the myths about things you should and shouldn’t feed hedgehogs. There is little natural food around at this time of year and so his diet will not have been enriched by natural foods, such as the exoskeletons of beetles, that hedgehogs eat in the summer. Benjamin is receiving calcium injections and a high calcium diet. He has to be handled very carefully because his bones are so brittle, they can break easily. The thinnest bone is on his front right leg and this is the one that he struggles most to walk on. It will be a long road to recovery for Benjamin – for the nutrients to build up in his bones. He will also require extensive hydrotherapy to build the strength in his bones and muscles. As well as metabolic bone disease, he also has a high burden of internal parasites – fluke and roundworm which he also needs to fight but his immunity will be low due to his poor nutrition. To avoid problems like this, please feed wild hedgehogs only cat/kitten biscuits, meaty cat or dog food (not gravy or fish flavours) or specialist hedgehog food. This diet will contain all the nutrients they need to supplement wild food. Benjamin’s problems were diagnosed by a vet following an x-ray. It is vital not to self-diagnose or give hedgehogs supplements without a professional diagnosis. Giving too much vitamin D or calcium can cause many problems in wild hedgehogs that do not have metabolic bone disease. I run a hedgehog rescue in York, England. You can find out more about my work here and also how to support it. 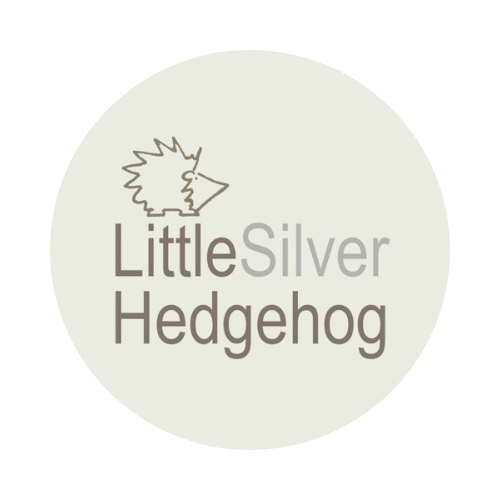 I also make silver nature jewellery to raise funds for my hedgehog hospital and you can visit my jewellery shop here. Please read this blog about hedgehogs and their diet and calcium deficiency, to give you some insight on feeding wild hedgehogs that come into your garden. And please click the link on the right of my blog page, to visit a wonderful and interesting site on hedgehogs. Thanks. A very interesting post and worth knowing. Fingers crossed for Benjamin. Poor little guy. Is he doing any better? I am devastated to have to tell you that he had to be put to sleep. His right leg was not improving with treatment and further x-rays showed damage to the elbow joint. He would have been in pain without constant pain relief so it was the only option. Devastated 😦 This job is very hard sometimes. I am so sorry. He was a cutie. So sorry about the devastating loss of Benjamin that I have only read about now. I hope it brings some comfort to know that you gave him the best care possible and that under his sad circumstances your brave decision was an act of kindness. Thinking of you and the ongoing work you do and wishing you strength. I am a BSc who loves to find answers! Hi Yvonne, I’m afraid that I have taken that advice about no gravy at face value being that it was made by larger and more experienced rescues. I’m not a scientist but would be interested to hear about any findings. I find that some hedgehogs prefer certain brands to others and have not been able to find one liked by all consistently. There are many factors that can cause diarrhoea in a rescue hedgehog including bacterial infection so it would make it hard to ascertain a particular cause unless comparing well hedgehogs I would presume? I have never fed gravy based food due to the wider advice so cannot comment on that in either unwell or (probably well) wild hedgehogs…. Can I send it for your thoughts/ comments/ suggestions? I care for hedgehogs, and have taken the advice about no fishy foods and no gravy. I feed a variety of wet cat foods and biscuits. I find they prefer chicken, duck and turkey, and don’t like the beef or lamb wet food. So, what is the truth about fishy foods.